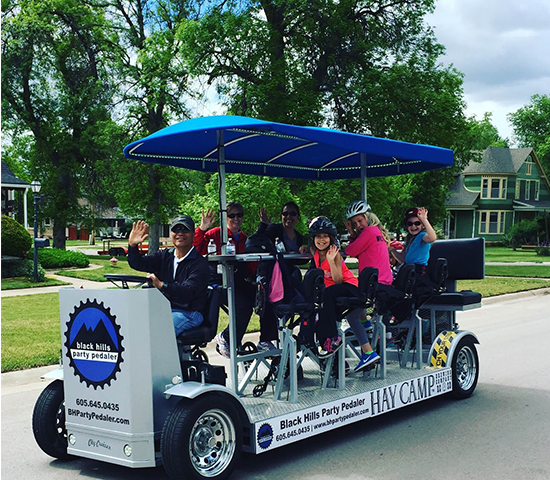 Take your Black Hills Party Pedaler Tour Now until April 30th for 50% Off. Group of 11 for Only $150! Everyone gets 1 Free Round of beverages. 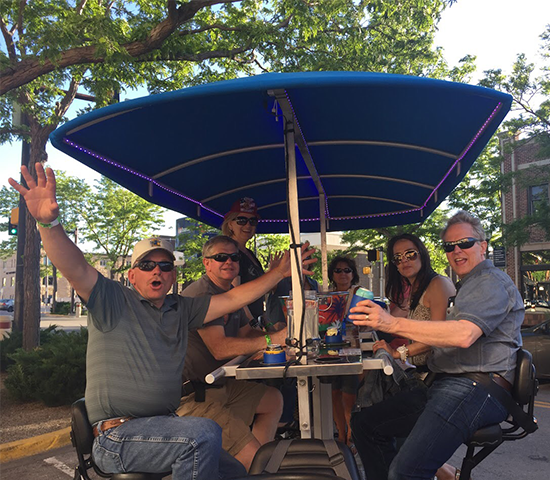 Black Hills Party Pedaler offers a great Deal! Whether you’re looking for a night on the town with a group of friends, an outing for business associates, a new way to celebrate a birthday or anniversary, a fun activity for your club or wedding party, or just a unique experience in the Black Hills, give us a call! Get together with up to 10 of your friends and cruise around downtown Rapid City. With 11 riders, a two-hour party will only cost around $15 each! Offer Valid Only between March 21st 2019 to April 30th 2019. Tour must be scheduled to ride between March 21st to April 30th dates ONLY. Located in Rapid City. Availability is limited; tours run every two hours Monday-Saturday from 10am-10pm and Sundays from 12:30pm-10pm. In the event of inclement weather and booked tours need to be rescheduled, vouchers will expire on April 30th, 2019. Alcohol sold separately. Tax not included; non-refundable; no cash value. 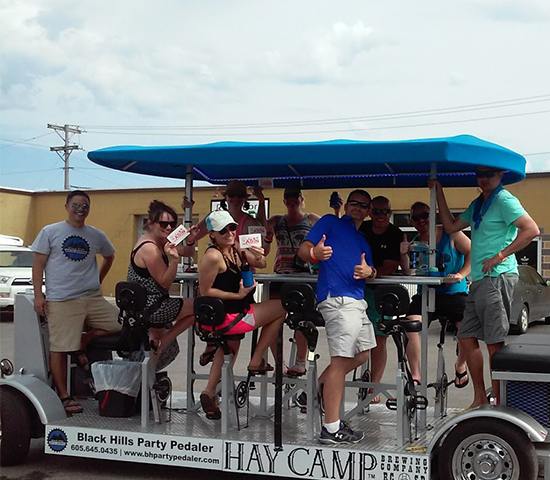 Black Hills Party Pedaler is a local, family-owned and operated party bike! 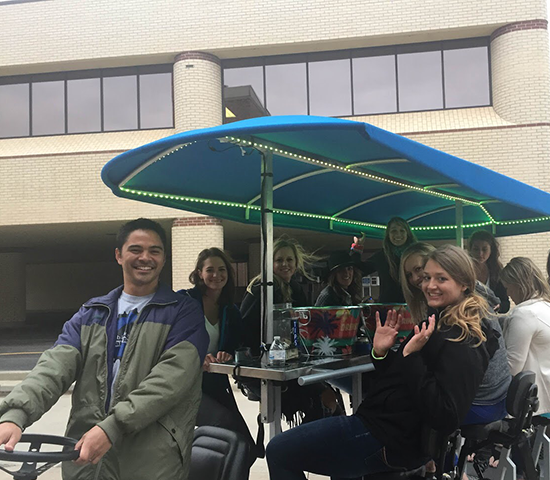 Our group bicycle is powered by eight pedalers and steered by one designated staff driver. There’s also a bench in the back with three non-pedaling seats. Our comfort and safety features include battery assistance for ease of pedaling, cruiser bicycle seats with seat backs and seat belts, grab rails, and a platform base.